The Appspace Core 5.2 build is a planned update that focuses on platform enhancements and includes the latest bug fixes. This build was released on November 16th, 2014 and covers Appspace Cloud and On-Premise deployments. Training Academy has been removed in this release. Standard title bar across all extension pages. Standardised placement of toolbar icons across all extensions. A new user icon now takes the place of the former gear icon at the top right. 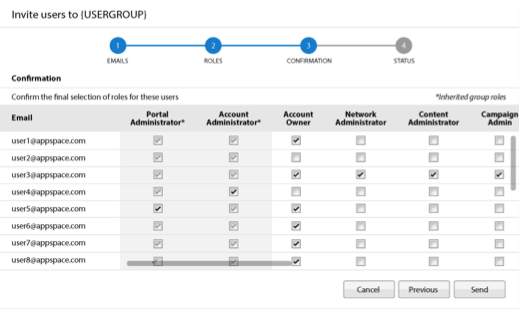 The User Management extension has been updated to include a new user invitation workflow that makes it easier for administrators to quickly add new users to groups through an automated e-mail invitation process. Roles can also be assigned directly through the invitation workflow. Appspace customers can now track their Appspace ID usage across Cloud and on-premise instances. Appspace ID includes users and devices on each instance. Cisco Edge 300 and 340 devices can now be registered using the online registration tool and follows the same workflow as registering Cisco DMP devices. The Sign Manager media zone has been updated with an ‘Enable CC’ option that activates the display of Closed Captioning for the Edge 340. The Edge 340 uses a VLC plugin and can display EIA-608 format streams. 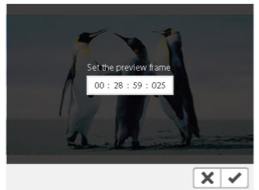 Video assets in the Content Library can now be updated to show a different frame for the preview thumbnail. Appspace Core now provides support for enterprise single sign-on (SSO). 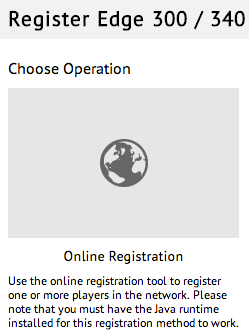 Configuration can be done with a SAML 2.0 compliant SSO provider and can be set globally or per account. 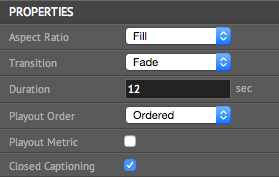 AE-979: Sign Manager – Duplicating the layout will duplicate the default schedule in content schedule. AE-986: Sign Manager – App with HTML5 client as the target device will not play on a Samsung Tablet in Chrome or an iPad in Safari. AE-997: Media Container Widget – Unable to edit channel title. AE-1000: Network Management – Unable to add applications to sub-networks. AE-1010: Device – DMP4400 is unable to display custom player properties. AP-5709: Reset password email doesn’t get sent when password retrieval link is clicked. AP-6232: 404 error when all device tags are removed and added again. AP-5498: System doesn’t show error message for empty value in the Dynamic Media address field. AP-5705: Users with Read Only permissions are allowed to upload content to shared folder(s). AP-5370: Inputting special characters such as ‘<‘ and ‘?’ in the network notification name produces an error. AP-5496: Error page is shown when maximum player limit cross. AP-5640: Select all smarthub check-box is not ticked when all the SmartHub check-box is selected. AP-6167: Unable to move unassigned players to a player group. AP-5394: Searching with an invalid keyword isn’t properly represented in the UI. AP-5643: Incorrect thumbnail for RSS ticker and viewer custom feeds. AP-5753: Public App link is rendered with the wrong engine. AP-6149: Unable to update layout duration. AP-5630: Deleted language does not vanish until page is refreshed.